Melissa “echo” Greenlee is the founder and CEO of deaffriendly.com, a website for deaf, deaf-blind and hard of hearing individuals to rate, review and find deaf-friendly businesses nationwide. Born hearing and becoming deaf at 8 years of age has given her a unique perspective on how to bridge the gap between deaf and hearing worlds while also mastering the art of self-advocacy. 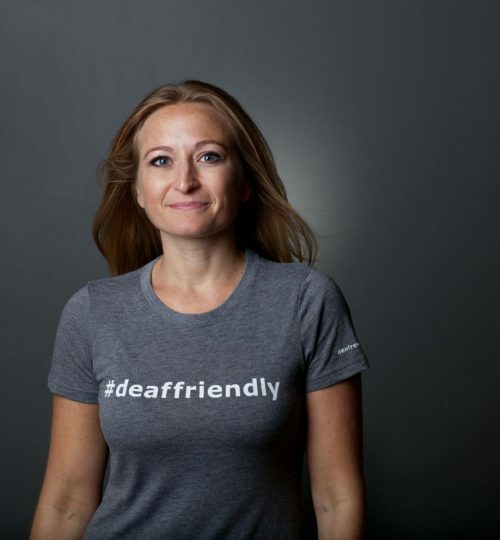 Prior to starting deaffriendly.com, she successfully launched and ran a Sign Language education business for 10 years, contributing to the education of thousands of hearing children birth to 14 years of age. She is now engaging in her most important life’s work: to make the world more deaf-friendly for over 48 million deaf and hard of hearing individuals living in the USA.